October 5-7, 2018 - Masters and Black Belts from the PTSDA Karate traveled to Pittsburgh, PA to train with Grandmaster C.S. Kim at the ITF Instructor Conference and testing. 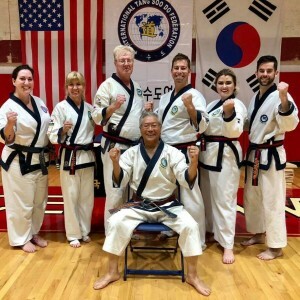 Under the watchful eye of the Grandmaster and the Technical Advisory Committee, the participants trained for several hours to ensure that their technique was of the highest quality. Everyone walked away from the event with a feeling of family, community and more practice is needed. Keep alert to the ITF website for future federation events that you could participate.